You have a vision for a transformational program that if done well, will produce significant improvements in the environment or lives of your community members. You have a handle on the major program components, but you still have questions that are holding you back. Does the program cover all potential needs? How should the program components be linked? What is the business model? We’ll help you get the answers you need to map out your plan. Our needs assessments and market research will help you feel confident that you have all bases covered as you move forward. We will be there at every step of the development process, offering curriculum design expertise infused with the latest in best practices for learning and development. Along the way, we will also create organizational structure visuals, logic models, and process diagrams that will make your plan crystal clear to your team members, supporters, and funders. You have a program that works and want to enhance and expand for even more impact. How do you prioritize improvement efforts? What are your most effective current activities? 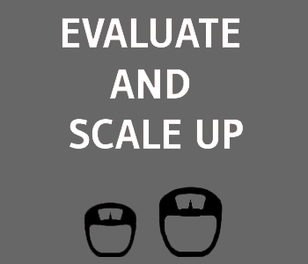 Is the assessment data you collect detailed enough to verify statistically the significance of your program? We’ve got you covered with our more than 14 years of program evaluation and process improvement experience. We’ll design assessment instrumentation that measures the extent to which you are meeting your goals. From program activities to administrative processes, our analyses will give you the insights you need to make decisions that will propel your organization to the next level. Social and environmental change on a large scale requires a concerted effort by many. You have initiatives that involve training educators and community members to be agents of change. Determining curriculum that is effective yet streamlined enough to meet your time constraints can be difficult. Whether you need curriculum designed for technical or soft skills, we can help you meet your training goals. Our experts in instructional design have developed award winning training programs in science and mathematics, as well as, team building and cultural competency. We’ll not only produce the just in time learning you need, but you can be assured our methods will be culturally responsive for diverse learners.